Entries for the BCO AWARDS 2019 are now closed. 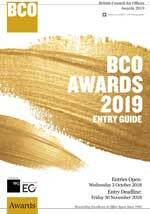 Entries for the BCO Awards 2020 open Wednesday 2 October 2019. All projects for the 2020 Awards competition must have been completed between 1 January 2016 and 1 November 2019. 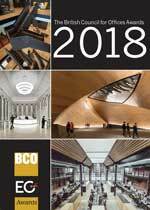 If you are interested in entering the BCO 2020 Awards, please take a look at our Entry Guide 2019, which explains the submission process step by step. The judges review the entry criteria each year, but the changes are usually minor, so you can still use the 2019 guide as a reference. The BCO Entry Guide 2020 will be published here on 2 October 2019, when the entries for 2020 open. Download the 2019 Entry Guide.